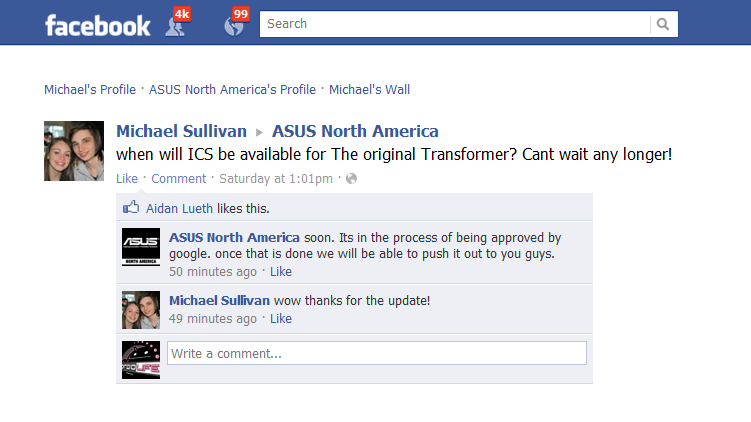 Over the weekend, Asus confirmed to a concerned “OG” Transformer owner that his device was indeed getting the Ice Cream Sandwich update. From the looks of it, as soon as Google approves the new firmware, we will then be in business. Congrats to Asus’ social networking skills and keeping their worried customers in the loop.